In this episode, we visit the world of emojis. Where did they come from, what do they mean, and what questions do listeners have about emojis? In this episode, we discuss listener QTNAs - Questions That Need Answers. It includes questions about celebrities, movies, TV and public bathrooms. In this episode, we discuss families in pop culture. Our main segment was recorded live in Charlotte, North Carolina. What are the words and phrases you should start using? Let us help you better communicate with your loved ones. Listen to an excerpt of our premiere recap of The Bachelor featuring Colton Underwood. In this episode, we talk through the nice nos and mean nos of Halloween and share our listener’s spicy takes. In this episode, we preview the Fall slate of movies. First, we give you a fail-safe guide to deciding which films to see. Next, we predict which movies will win, lose, and be named most underrated for each autumn month. In this episode, we discuss sibling rivalries in pop culture and the confessionals of our listeners. In this episode, we discuss The More You Know news segment and offer our pop culture Ts and Ps. From our live show in Dallas, we talk about sports in pop culture and the nos of sports with special guest Melanie Shankel. In this episode, we explore listeners’ and celebrities’ Achilles Biels, a piece of pop culture you love that you know deep down is no good for you. From our live show in Birmingham, we talk about the choices we want all movie goers to make at the theater with special guest Sophie Hudson, Boo Mama. 256: How Do We Feel? It's the United States' birthday. Which movies make us the proudest to be an American? Which habits and behaviors make us less proud to be from the US? And finally, we build a new, even more patriotic Mount Rushmore. In this episode, we talk through the motherhood confessionals of our listeners including the Pantheon of Mom NOs. In this episode, we talk about the fictional workplaces where listeners wish they had jobs. Plus, we award our Mount Sucksmore of fake companies. In this episode, we review the NOs of dating. We detail our own rules for romance as well as our commentary on listeners' worst dates. In this episode, we tackle the tropes and themes of books and publishing we want to live and the ones we'd like to put down. In this episode, we let listeners share their pop culture and everyday confessions and we judge them accordingly. In this episode, we discuss some of the staples of Christmas and decide whether they are underrated, overrated, or properly rated. Knox and Jamie chat with Megan and Rachael of The Daily Dish about their favorite episodes on each other's podcasts! In this episode, we review the smallest of thespians: child actors. We pick the best and worst from more than a dozen shows as well as choose the child actor mentors for all of us. Plus, the latest in celebrity news. Knox and Jamie talk about family in culture: the depiction of it, notable families and their favorites in various categories. Knox and Jamie run down their favorite animals from pop culture, as well as the parade of favorites from listeners. Knox and Jamie discuss the year of 2016 and how their predictions for it measured up with what actually happened. 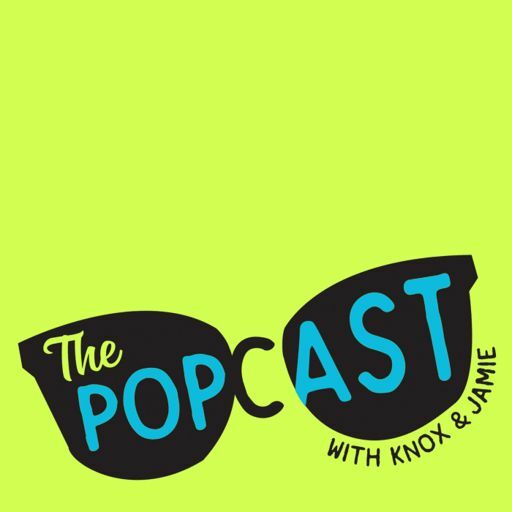 Knox and Jamie answer listener questions on the topics of Pop Culture, The Popcast and their Personal Lives. Knox and Jamie talk the best and weirdest Urban Dictionary terms as well as putting a seasonal spin on the tradition of the segment. In this episode, Knox and Jamie talk all about time travel as a plot device. They talk through the best uses of it, the worst uses and listener suggestions on time travel destinations. Knox and Jamie dive into collaborations and explore the best ones, the most underrated ones and the ones that need to stop. Knox and Jamie talk all about impossible second chapters and the realities of the sophomore slump in books, music, movies, TV and genetics. Knox and Jamie spend the episode talking examples of bad idea movies, who is complicit in their creation and how to fix a specific one. Knox and Jamie talk about the concept of jumping the shark. Where it came from, what it means, how you do it and the different ways you can apply it to your life beyond just television shows. Knox and Jamie talk about old people in pop culture and how ages and the appearance of age affects your perception of something. Knox and Jamie break down celebrity endorsements and the art of selling out BUT FOR THE RIGHT REASONS. Knox and Jamie award Olympic medals to the best parts of 2016 in a variety of categories. Knox and Jamie talk about celebrity families, famous people progeny and the Mount Rushmore of children of famous actors. Using the prism of their own embarrassing confessions, Knox and Jamie dive through the looking glass and into the psyches of their listeners as they attempt to assign levels of crazy to different confessions. Knox and Jamie talk about actors who are not to be trusted, betrayals both real and fake, and they give recommendations to celebrity baby names. In this episode, we revisit a staple: Urban Dictionary. We ponder words and phrases we love, those that confuse us, and those we’ve already started using. Knox and Jamie talk politics but in a cool way. Which Celebrities Would You Trust In A Time of Crisis? - Beyonce's new video, Formation. Knox and Jamie talk about uncomfortable truths as offered by the listeners and then they disclose a few of their own. Knox and Jamie deep dive all things Making a Murderer. From Steven Avery's guilt, to the Bobby Dassey theory and even Ken Kratz's text message game. They also cast the Making A Murderer movie. Knox and Jamie talk all about song lyrics. What informs their musical tastes, what lyrics resonate and which ones are the most wrong. Knox and Jamie talk all about spin-offs. They talk about the best ones, the worst ones and ones that should be brought into existence. In this second part of a two part-episode, Knox and Jamie answer listener questions about everything from personal stuff to pop culture questions. In this first part of a two part-episode, Knox and Jamie answer listener questions about everything from personal stuff to pop culture questions. Due to overflow from last week's episode, Knox and Jamie talk all about the most overrated, underrated and properly-rated characters from SNL. Knox and Jamie talk all about characters who replaced and the actors who played them. Knox and Jamie talk about the worst things of Halloween as well as SatchelGate and other news items from the pop cultural landscape. Knox and Jamie break down fairy tales. What they mean, why they exist, their relationship to religion and the things you need to not learn from them. Knox and Jamie talk all about the use, effect and significance of music in movies and TV. They also share some of their favorites as well as listener suggestions. Pop Culture Hypotheticals and What's The Word? 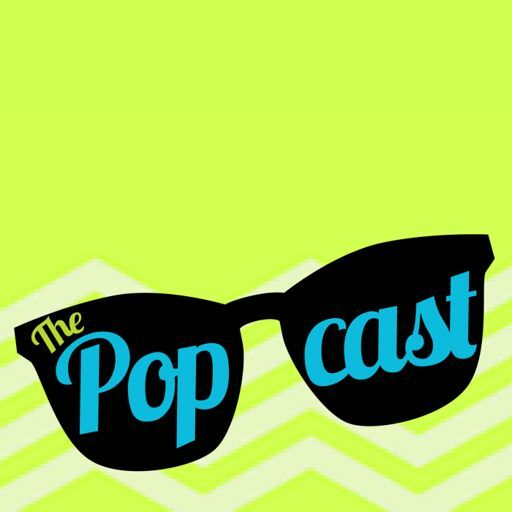 In this special 100th episode edition of The Popcast, Knox and Jamie celebrate by looking back but also looking forward.